Travel through the entire life cycle of a pumpkin from a seed, all the way to a jack-o-lantern and back again to a seed. George Levinson's book, Pumpkin Circle: The Story of a Garden, takes us through each stage with a rhyme-like text coupled with amazing photography by Shmuel Thaler. My daughter was quick to point out that the words didn't quite rhyme, but was soon distracted by the fun photography taking us right inside a pumpkin and up close to the budding flowers soon to become pumpkins. What a great way to toss an educational lesson into our candy-filled, costume wearing holiday! Enjoy! 1. Read through the book and follow the directions in the end to grow your own pumpkin! 2. Work on sequencing with your little one and after reading the story, have them fold a piece of paper into fifths, drawing a picture or writing a sentence about each stage of the life cycle of a pumpkin. 3. Use this book as an introduction or conclusion to a trip to the pumpkin patch!! Your children will appreciate all that went into preparing that jack-o-lantern! 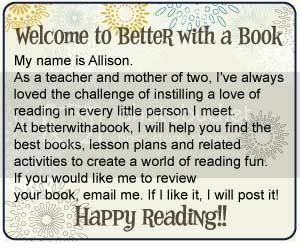 Welcome to Nonfiction Monday, Allison. I'm pleased you could join us. Your recommendation looks like it would be a great addition to the Doucette Library (curriculum library). I'll look for it. Thanks for contributing to this week's NF event.